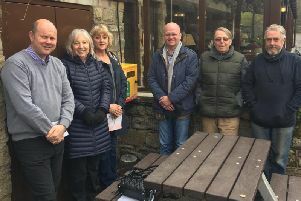 A Brighouse hotel and restaurant is optimistic that slight adjustments to building plans that were rejected by councillors will see the proposals eventually approved. However, the planning committe rejected the proposals. Commenting on the decision a spokesperson for the Casa Hotel and Restaurant, said: “We have been working extremely closely with the planning officers to present a scheme that was acceptable to all. Having made the recommended amendments to the plans, in accordance with the officers’ suggestions, they strongly recommended to the meeting that the new proposals should be accepted. “We were therefore taken aback when the vote narrowly went against us. The case has resulted in years of legal wrangling between the council and company but planning committee members were split on the issue and any hope of a resolution went out of the window. If approved the new proposals (artists impressions pictured) would have meant the white building painted in a stone colour intended to be more in line with neighbouring buildings, the height of the tallest parts reduced and a garden created. A report that was considered by planning members their decision was made said although it was an “inappropriate development in the green belt” there were “very special circumstances” to grant persmission. It said the recommendation to approve was in accordance with national and local authority planning policy and certain criteria needed to be met. In September 2015 the venue was ordered by the Planning Inspectorate to take down its three-storey extension after losing an appeal against the council. However, Castelite Limited, Casa’s parent company, to the case to the High Court to challenge the decision and was successful in getting the verdict reviewed in February 2016. The revised plans that the planning committee decided on this week included an outside terrace but a further condition was added that stated it would have to be garden rather than outside areas for visitors to sit. The plans were still turned down.